Clean shrimp by cutting up the back of each one with kitchen shears. Leave the shells on but run them under cold water to remove the vein. Stir together all ingredients in a medium bowl. Lay out a piece of foil and fold edges up to make a bowl. Pour ingredients onto foil and place lemon slices on top. 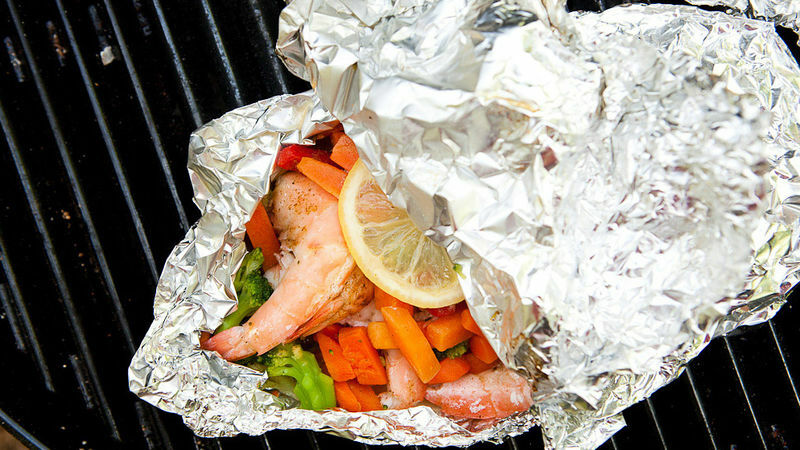 Use heavy-duty aluminum foil to reduce chance of tearing. You can also double up the foil layers to make a sturdier packet.